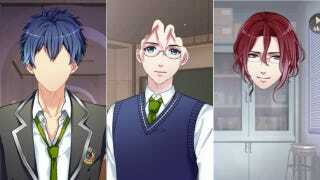 In Japan, "otome" (maiden) games give players a slew of handsome men from which to choose. A recent game offers much more than that. Say hello to buggy men! These aren't bugs, they're handsome features!